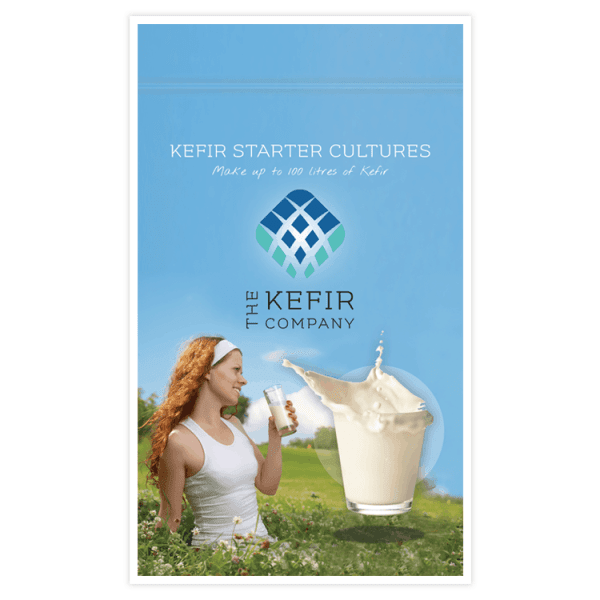 With the Starter Cultures purchased from The Kefir Company you can prepare your own Kefir drink for only £ 14.99. 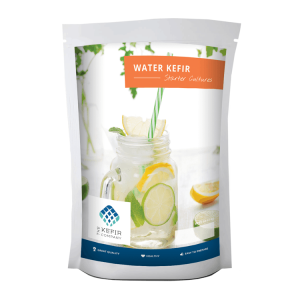 The packets of Kefir powder allow you to make up to 100 litres of Kefir. Kefir is a living ferment with a variety of positive bacteria and yeasts. In order to maintain the correct composition of these bacteria we recommend using a new packet after 4 to 5 weeks. Furthermore, it is important to keep the packages refrigerated. Heal your gut naturally – a colitis solution. Also available on Amazon with more than 650 positive reviews. Our product also has the ‘Amazon’s Choice’ label. 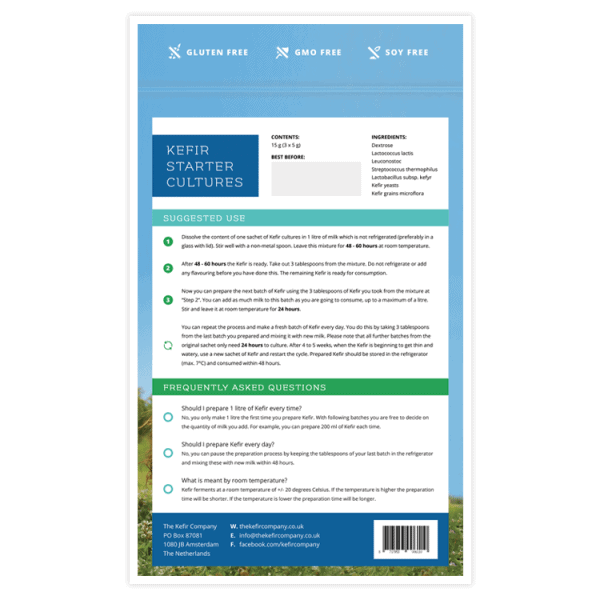 With the Kefir Start Kit purchased from The Kefir Company you can prepare 12-15 weeks’ worth of Kefir. 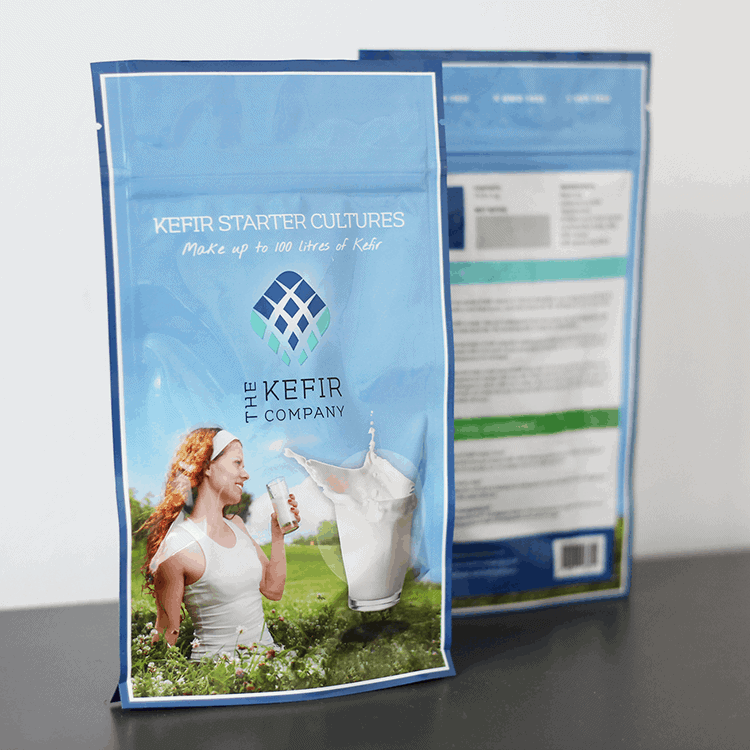 The Kefir starter kit contains 3 sachets of Kefir cultures of superior quality and allows you to make up to 105 litres of Kefir. 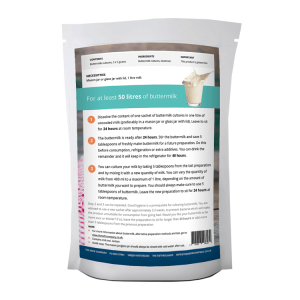 Each package can be used for 4-5 weeks and produces 1 litre of Kefir a day. This way you can prepare up to 105 litres of Kefir with 1 package of Starter Cultures purchased from The Kefir Company. I can’t live without this product. 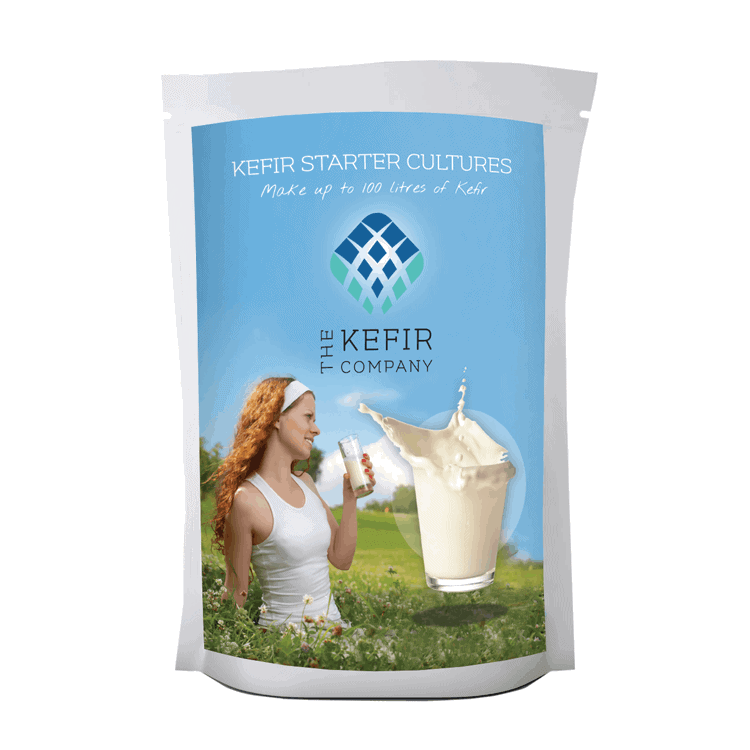 I’ve been buying this kefir for many years now and it was definitely the only thing that would sort out my gut issues. I was able to eat gluten again after eating this everyday and taking saccharomyces boulardii (although it’s still probably not good for me). 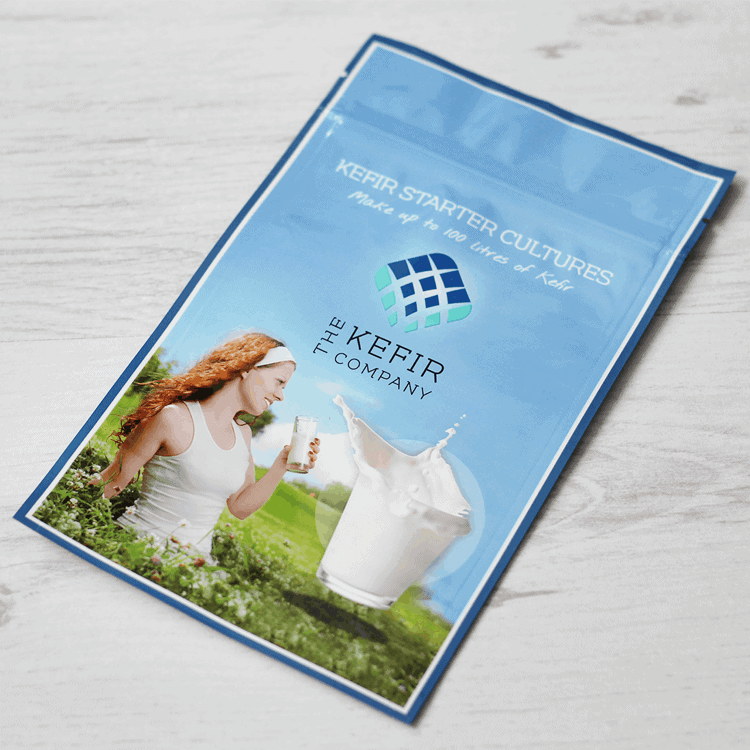 I’m also impressed with The Kefir Company’s customer service. I travel around a lot, and once I had a packet sent to Australia. It took over a month and by the time I got it, the culture had spoiled but they were happy to give me a refund. 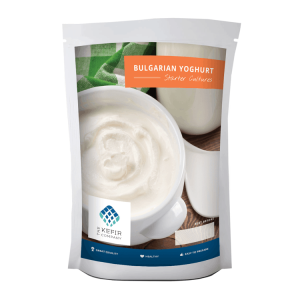 I recently moved back to Europe and decided to buy their yoghurt maker too. 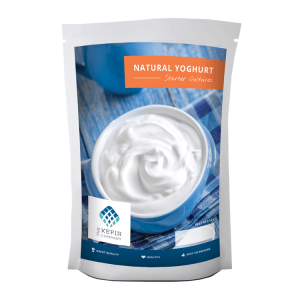 I’m super impressed with it and probably saving a lot of money by not buying supermarket yoghurt. This is first rate. 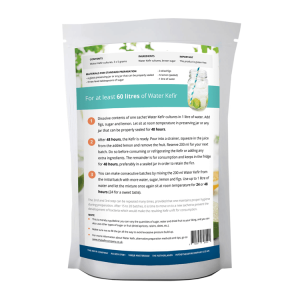 The quality of this culture is such that I get AT LEAST 10 litres from each sachet – compared to 3 from cheaper stuff. I have severe diverticular disease and this Kefir has been wonderful at keeping painful infection at bay. I will stay with this product. Product arrived before estimated delivery date. I divided the first sachet and milk quantity into two as I wanted to start with a smaller quantity. It fermented beautifully in under 48 hours and is a really good product. This product is great, simple to use and the backup from the company is fantastic. 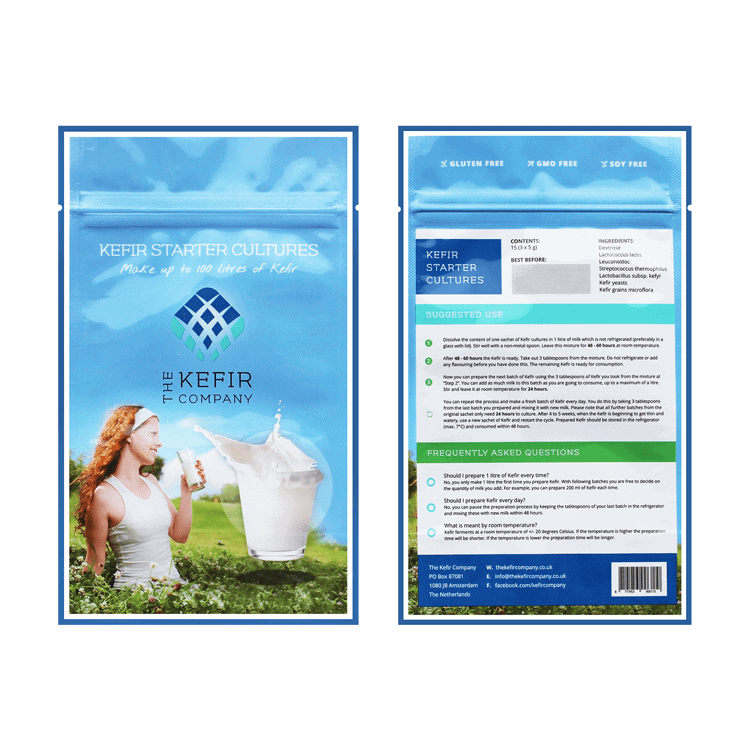 I contacted Sophie at The Kefir Company when starting my Kefir journey and I can not say how helpful she was in guiding me through the process to make fantastic and delicious Kefir. 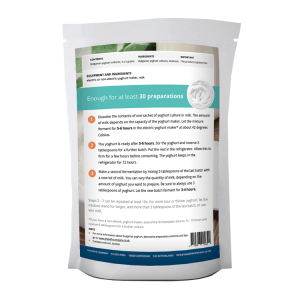 This product is worth the little extra that you pay for it because it it is so good providing that you follow the instructions very precisely. A great product from a professionally run organisation with matching customer service. Thank you Sophie and the Kefir company. Highly recommended! I’ve been using this product for about 6 months now. I bought it originally to help me with a nasty bout of oral thrush, after a lot of antibiotics. Unexpectedly, it has really helped my psoriasis and even better, it has helped me with my rheumatoid arthritis and I am not needing to take so much medication. I feel so much better. I use mine with soya milk as I’m not good with dairy and it works well and is so easy to make. 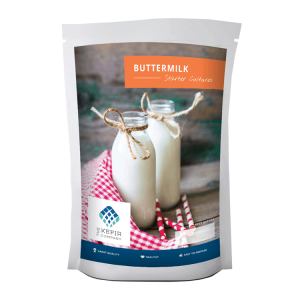 I purchased my first supply of the Milk Starter Cultures in March this year. This was after a colonoscopy revealed that I did not have the cancer that the Doctor suspected might be the cause of stomach problems. It was obviously good news but did not solve the problems. Within days of starting using the Kefir there were clear signs of an improvement which, I am pleased to say, has continued to date. Needless to say, I recommend it whenever appropriate.